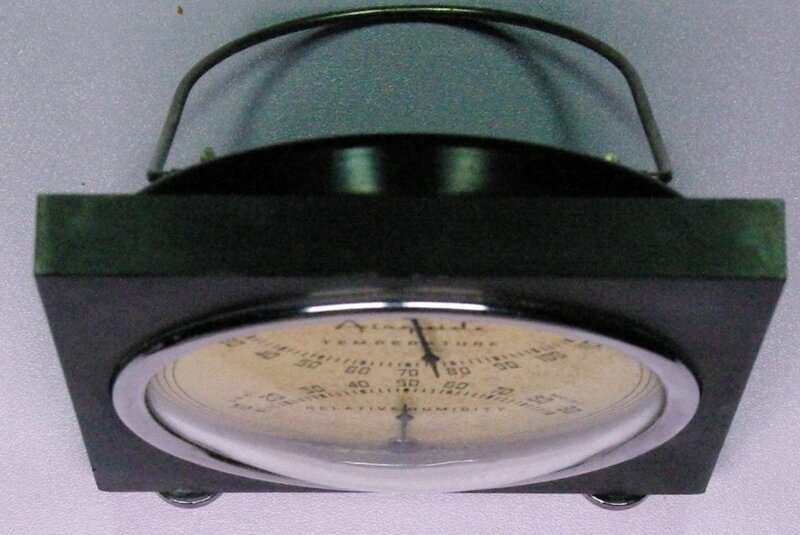 ​This Airguide 'Kent' hygrometer made by the Fee & Stemwedel Company is shown in the circa 1938 Airguide sales brochure provided elsewhere on this website. 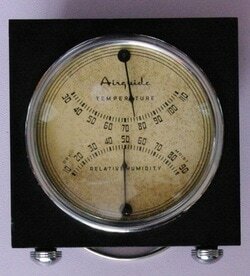 As with the other Airguide hygrometer, it uses a metal-paper coil sensor to drive the hygrometer needle. The case is Bakelite. Though not very accurate, the 1930s Art Deco styling is appealing. ​Go to Airguide catalog page.